This is a painting of Irvine Park in Saint Paul, Minnesota. I've been going to this small city park for many years. It is surrounded by victorian houses and is an oasis among the city life. 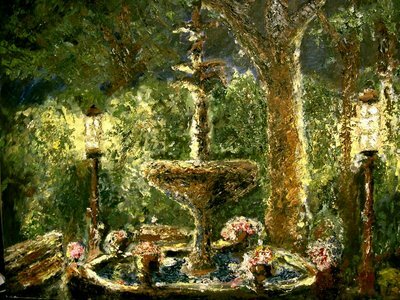 The park is quite pleasant and has a variety of flowers and trees, but its best feature is the wonderful fountain.